One burned CD, there was only one file on it, an MP3 of Beethoven's 7th Symphony. 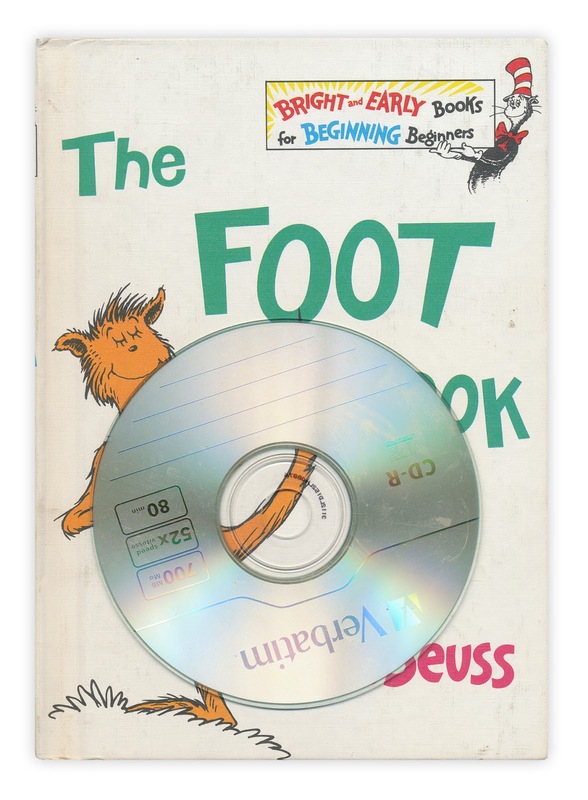 Found in "The Foot Book" by Dr. Seuss. Published by Random House, unknown date (dates and editions are really hard to pin down for Seuss books).